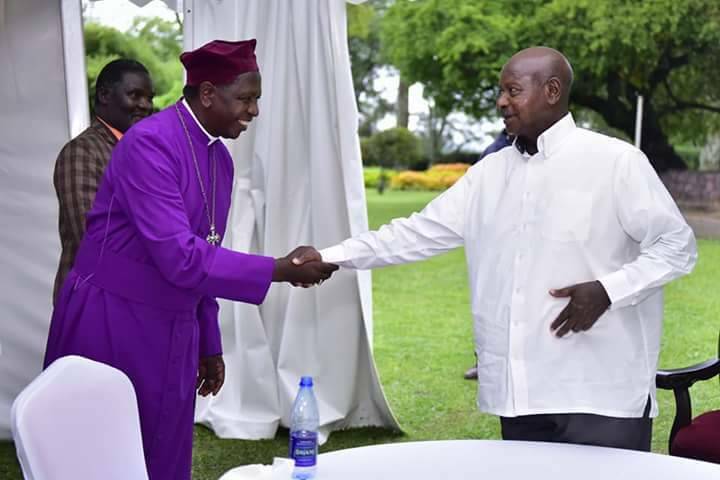 President Yoweri Museveni on Saturday hosted religious leaders at his country home in Rwakitura, in what is seen as an attempt to mend fences following the fallout over the age limit Bill. 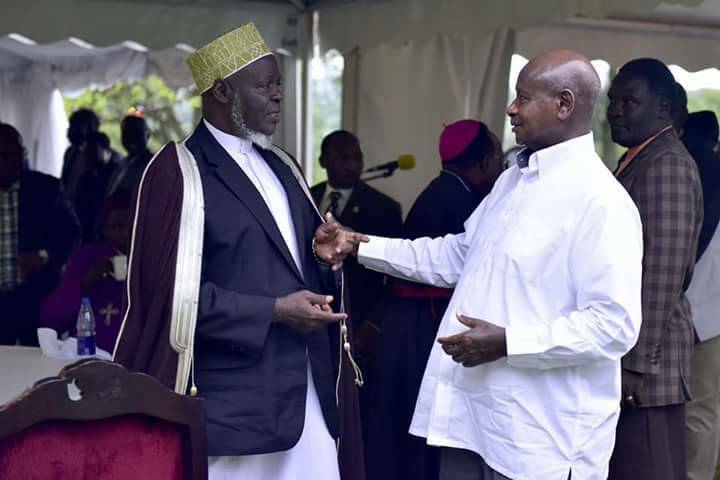 Religious leaders under their umbrella body, the Inter Religious Council of Uganda, have been unequivocal in criticizing the excesses of President Museveni, particularly corruption and failure to stop killings across the country. The criticism reached fever pitch following the passing of the Constitution Amendment Bill, with the prelates accusing the government accusing the ruling party of passing the Bill against people’s interests. 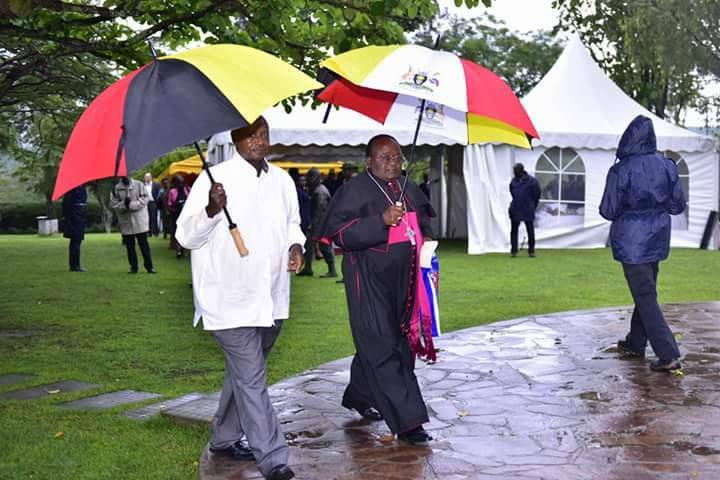 President Museveni with Archbishop Kizito Lwanga at Rwakitura. However, the above differences were put aside on Saturday when the clergy accepted the President’s invitation and toured farms in Ibanda and Kiruhura districts. 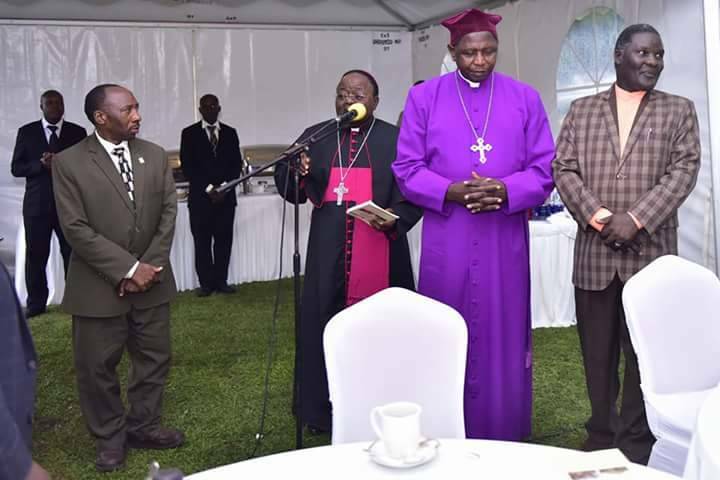 The leaders included Archbishop Cyprian Kizito Lwanga of Kampala, the team, Archbishop Stanley Ntagali, Mufti Shaban Mubajje, Bishop Lwere of the Born-Again Faith and Pastor Matte of the Seventh Day Adventist church. He later hosted them to a luncheon in Rwakitura, from where he urged them to use the church platform to transform society through agriculture. Mr Museveni explained that the reason he asked them to visit farmers in this region was so that they could see how leaders can change the mindsets and practices of their people and lead them to prosperity. “The Bible says; ‘Let your light so shine before men, that they see your good deeds and praise your father who is in heaven’. It is, therefore, sinful to live among poor people, and let them remain poor, when you have the knowledge to help them transform,” he told the church leaders. He also explained to them that when he finished Senior Six in 1966, he was inspired by what he had studied about the Industrial Revolution to start a campaign in western Uganda to discourage nomadisim because it was not economically viable. “What we did here was to teach people to keep a few cattle that have high milk yields instead of keeping a large herd of the indigenous Ankole cows that had low milk yields. Not only are people able to get more milk from cross-bred cattle but it has also reduced pressure on land. Even those with small pieces of land are able to benefit from dairy farming,” the President said. He said he has now extended this campaign to agriculturalists, teaching them to use the four-acre model, which discourages subsistence agriculture and encourages farmers to engage in enterprises that generate income. “Now I appeal to the church to join hands with government to spread this gospel. Use the church platform to teach people how to create wealth even with small land holdings,” he said. “I also request that you join me in the crusade to stamp out land fragmentation. The practice of bequeathing land to family members and it is subdivided must stop,” he said. “Working with you (church), we shall transform the countryside and improve our people’s income, even as we continue to deal with those in urban centres who have no jobs and no land,” he said. The President greets Mufti Shaban Mubajje.